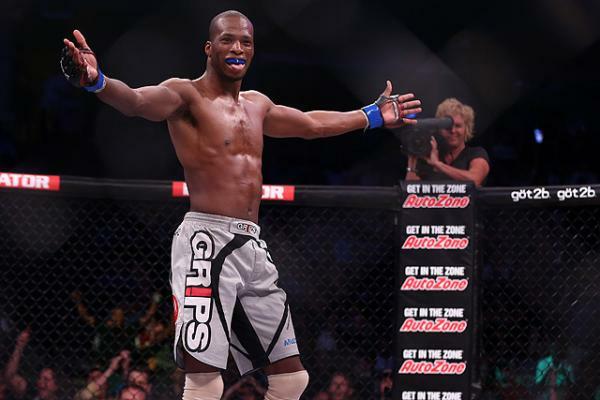 Is Michael Page The Star Bellator Has Always Needed? Michael “MVP” Page is a British mixed martial arts fighter who has debatably the best highlight tape in all of MMA. Page is a fighter that many people have had their eye on even before his Bellator signing, but after his most recent victory it can easily be said that Bellator has a new superstar on their hands. When you first think of mixed martial arts you automatically connect it with the Ultimate Fighting Championship. What most common fans don’t know is there are a ton of other promotions out there and these smaller mixed martial arts companies are where all of the UFC’s biggest stars get their start. Promotions such as Legacy Fighting Championship who have had fighters like Holly Holm and Thomas Almeida, Resurrection Fighting Association who has had UFC champions Jose Aldo, Junior dos Santos, and Anderson Silva, and then there is Bellator MMA, which stands out as the best non-UFC promotion in MMA. Bellator has been for years the main rival company competing with UFC by creating their own stars and using a different tournament style format. They have produced stars such as Michael Chandler, Muhammed Luwal, Pat Curran, Patricio Freire, and current UFC Lightweight champion Eddie Alvarez. They also have a deal with a huge television network in Spike TV that features their events which helps them bring in more viewers. Since Bjorn Rebney stepped down as chairman and chief executive and chairman of Bellator, Scott Coker has come in and tried changing things up to make the company draw more viewers and develop a bigger fan base. Coker has put together big fights that have the non casual fight fans tuning in to watch such as Tito Ortiz returning and fighting former UFC fighter Stephen Bonnar as well as competing for a title, one of the biggest draws in all of mixed martial arts Kimbo Slice headling events and MMA legend Ken Shamrock returing to headline events against Slice and facing another legend in a rematch against Royce Gracie. While all of these fights will bring in new viewers from an entertaining standpoint, these fights aren’t the most talented fighters which is the opposite approach that the UFC takes in which they have headlining bouts that feature the two best fighters in that weight class. The reason Bellator can’t do that is because they can’t compete with the UFC when it comes to talent so they have to have fewers cards where the stack up the biggest names on their roster, featuring the same big names as the big fights on majority of all big events. A new trend that has been happening with UFC stars is they feel they are being undervalued and have now begun testing the market, which is something that has never really happened in the past. Most recently Bellator has been able to sign former lightweight champion Benson Henderson, and heavyweight Matt Mitrione, as well as being in talks with some other fighters trying to test the market with rumors of talks with welterweight Rory Mcdonald. Bellator is starting to become more appetizing to UFC fighters and seems to be on the rise. With the promotion bringing in these big names they are going to be able to create big match ups for events and bring in those fighters followings that they created while competing in the UFC, as well as put on more competitive bouts. Bellator signed undefeated British prospect Michael Page back in 2014, and he has since gone 6-0 with 5 impressive finishes. Page brings a fighting style to mixed martial arts that has never been seen before, coming forward with his hands down and chin up, he relies on his speed and power to mock his opponents, looking at times as if he is literally dancing in front of his opponents until he finds an opening and using his explosiveness to charge in and end the fight with a highlight finish. If you were to look up his highlights it would look like something from a video game and that is exactly what makes fans so eager to want to see him. Although Page had the skill, entertainment, and cockiness to sell any fight, due to him not being on the biggest stage in MMA like the UFC many casual fans haven’t been able to see him, but after his last bout he has made huge waves all around the world and has many people looking forward to tuning into his next bout to see what he will do next. Page faced his toughest test to date when he took on Evangelista “Cyborg” Santos, a former strike force fighter who has been a veteran in mixed martial arts and has competed against big names such as Gegard Mousasi, Siyar Bahadurzada, and Nick Diaz. 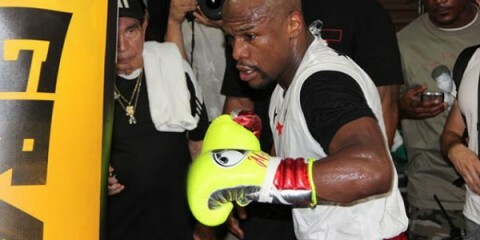 He was also fighting in his home town of England which made this the biggest fight by far of his career. In the second round of the bout Page threw an extremely powerful shot to the body that had Santos visibly hurt, which resulted in Page throwing a flying knee that left Cyborg Santos cringing in pain holding his face on the ground. This knockout was one of the most vicious knockouts in mma history, with even referee legend Big John McCarthy tweeting after the fight, “@JohnM and it gained so much attention that it was featured and trending all over the internet, with even Sports Center talking about it. Another thing to note is that according to Bellator, The Michael Page knockout is the promotions most viewed video ever with 3.3 million views and counting. Bellator 158 also broke another promotion record with the event generating over 90,000 total social media mentions which is the most event for an event. After the highlights of the knockout were trending all over the world, a few days later photos began circulating of the gruesome injury that Santos had due to the knee landed by Page, resulting in a fractured skull. Page is the star that Bellator has been searching for and with Page becoming one of the biggest “must watch” fighters in mixed martial arts, they are beginning to pick up a ton of more speed and becoming a much more respectable promotion. Another thing to note is that right now Page is becoming the biggest star to come out of England, which is a place that right now the UFC is lacking in star power. If Page can continue to put on remarkable knockout performances like he has thus far he is going to become not just the biggest star in Bellator, but will be as big as some of the stars in the UFC. When people think of superstars they have to have that “It” factor that makes fans want to tune in and watch them perform. Fighters like Ronda Rousey and Connor Mcgregor for instance are the two biggest superstars in MMA today. They both have the confidence and personality to hype up a fight, and then when it comes to going out and performing they have a fighting style that excited and intrigues people to want to see more, putting on dominant victories in spectacular fashion. Page has all of those characteristics, finishing his opponents in amazing fashion and showing confidence that comes across as him being an unstoppable force. After one of his victories, after he finished his opponent he did the trending running man dance that had the video trending throughout the internet and in his most recent victory while his opponent laid on the floor he put on a pokemon hat and threw a pokemon ball at him, incorporating the biggest trend buzzing now in Pokemon Go into his performance to get people talking. With his charisma and fan friendly fighting style he will be bringing in way more people to tune into Bellator just for the purpose of seeing him in action. 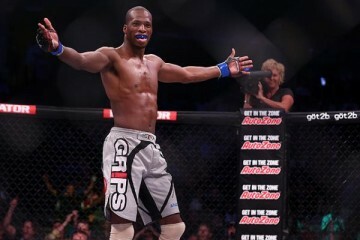 For the first time in the promotions history Bellator has a superstar on their hands that can compete and be as big as the biggest superstars the UFC has to offer, and his name is Michael Page. I agree, question is, can they hold on to him?